The in-car environment offers adverse conditions and installation positions for speakers. However, inaccurate audio reproduction can be corrected using DSP technologies. The advantage of the DSP technology is available as a built-in feature with some amplifiers, too. Integrated into a plug´n´play amplifier with an ISO connection harness or as a universal 4-channel amplifier with 8-channel DSP and 4-channel pre-out. The advantage of the DSP technology is available as a built-in feature with amplifiers, too. 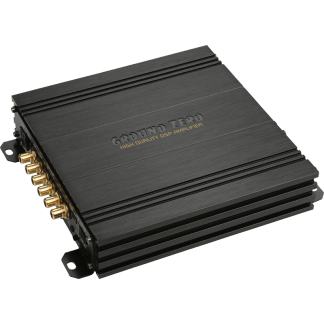 For example, integrated into a 4-channel amplifier with 8-channel DSP and 4-channel pre-out.